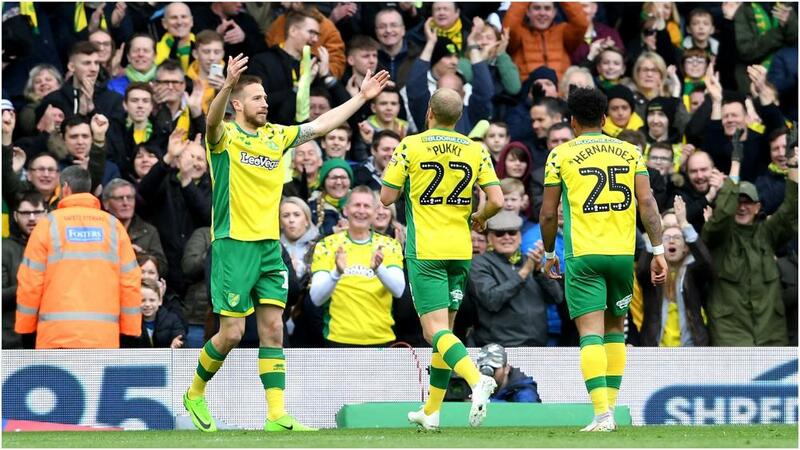 Norwich City moved eight points clear at the top of the Championship with a ruthless 4-0 defeat of managerless Queens Park Rangers. QPR was playing for the first time since Steve McClaren's sacking in the week and showed little fight at Carrow Road, with a new manager yet to be confirmed. It took Norwich just six minutes to break the deadlock as Emiliano Buendia was left unmarked in the area to sweep home, and the second soon arrived when Marco Stiepermann's low drive crept past Joe Lumley. Norwich took its foot off the gas after the interval and their afternoon was marred by a red card for the excellent Buendia following a senseless lunge on Josh Scowen, but QPR never threatened a response and Pukki slammed in his second late on.